One hundred years ago, Edgar Rice Burroughs' novel about a feral child who was raised by great apes somewhere in the African jungles was published in a magazine. The novel was called Tarzan of the Apes. It was about Tarzan's adventures in the jungle and his encounters with both humans and animals. In 1914, Burroughs' novel was finally published in book form. Today, there are hundreds of works based on Burroughs' character Tarzan in different media. Tarzan of the Apes has spawned several comic books, movies, television shows and even a stage play. The heroic adventurer celebrates his 100th birthday this year. There hasn't been much interest in Tarzan lately because there are no new movies or television shows about Burroughs' ape-man. The last Tarzan movie that enjoyed worldwide release was an animated Disney movie back in 1999. One of the closest adaptations of Tarzan of the Apes was the 1984 film Greystoke The Legend of Tarzan Lord of the Apes. The best way to learn more about Tarzan is through Burroughs' novels. Here's a sneak peak into the fictional character Tarzan and the man who created him. 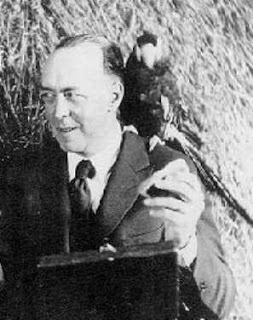 American novelist Edgar Rice Burroughs was born in Chicago, Illinois on September 1, 1875. After being discharged from the military, Burroughs took on different jobs before working for his father's company in 1899. He was married to Emma Centennia Hulbert who bore him 3 children. Burroughs, after a string of low paying jobs, began writing fiction. "Under the Moons of Mars" was his first serialized work. Soon after, he completed "Tarzan of the Apes," which was published in a magazine in October 1912. Burroughs was not a gifted writer but he was a master storyteller. He also had the knack for exploiting his most well-known character, Tarzan, by having the character come out not only in his novels but also in comic strips, television shows, movies and in merchandise (Tarzan toys and Tarzan clothing, food items and more) stores. The ape-man's popularity soared and the fictional character became a cultural icon. During World War II, Burroughs became the war's oldest correspondent. He was nearing his 70s then. After suffering a number of health issues, Burroughs suffered a heart attack that caused his death at the age of 74 on March 19, 1950. Burroughs was a prolific writer during his time. He wrote stories with themes that revolved around science fiction, fantasy, westerns and historical romances. He wrote several fictional stories set on the planet Mars. Burroughs renamed the 4th planet from the sun Barsoom. One of the Barsoom books was about a character named John Carter, an earthling who found himself transported to Barsoom. John Carter's popularity is expected to rise this year with the showing of the Disney movie John Carter in cinemas on March 9. Apart from having around 70 novels to his name, a crater on Mars was named in Burroughs' honor. A district in San Francisco has a connection to Burroughs. Tarzana, California was named after Tarzana Ranch, the home of Burroughs. Several writers, including Arthur C. Clarke (2001: A Space Odyssey), Ray Bradbury (Fahrenheit 451) and James Cameron (Avatar), said that Burroughs influenced their craft. The fictional character Tarzan was born John Clayton. He was the son of English parents, John and Alice Clayton, the Lord and Lady Greystoke. His parents both found their deaths in the jungle under different circumstances. The infant Clayton (Lord Greystoke) was adopted by a tribe of Great Apes called the Mangani. Kerchak was the head of this ape tribe. He was given the name Tarzan, which meant 'white-skin' in the language of the apes. Kala served as Tarzan's ape mother. Tarzan eventually discovered his family's cabin and this was were he found out about his human heritage. Using the books he found in the cabin, Tarzan taught himself how to read. Tarzan grew up to become a skilled hunter. He used this skill to avenge his ape mother's death when a hunter killed Kala. Kerchak became envious of Tarzan because the 'white-skin' was gaining popularity among the apes due to his physical skills. The ape leader attacked Tarzan one day. The fight between the two led to the death of Kerchak. Leadership of the ape tribe fell upon Tarzan's shoulders. When Tarzan was around 20 years old, he met Jane Porter, an American woman who was marooned in the same place where Tarzan's parents were years before. Jane was with her father and a few others. Jane eventually went back to America and Tarzan followed her to the concrete jungle. The two ultimately married and at one time lived in England. Tarzan and Jane had a son named Jack (given the ape name Korak). In later books, Tarzan and Jane returned to the jungles of Africa. That was where his other adventures took place. 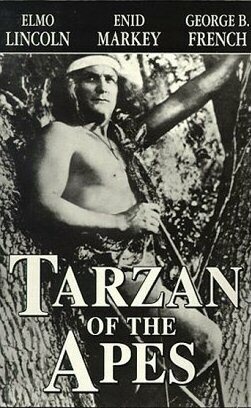 Burroughs' character Tarzan was Caucasian. He was depicted in the novels as tall, handsome, strong, and athletic, with keen senses and reflexes. Tarzan had long black hair, grey eyes and tanned skin. The man of the jungle was brave, loyal, devoted, steadfast, firm, intelligent and largely ethical in his ways. He was also described as generous, gracious and forceful when need-be. Tarzan was more comfortable in the jungle than in America or in England. Burroughs' ape-man was a true child of the jungle. Tarzan was well known for his physicality. What many may have overlooked was that the ape-man was a gifted linguist who learned languages in a matter of days. According to one article entitled “Burroughsian Language Banks” by David Arthur Adams, a known Edgar Rice Burroughs scholar and writer, Tarzan knew at least 29 languages and dialects. His research on all the Tarzan novels led him to the conclusion that Tarzan had the gift of understanding oral as well as sign languages. One must understand that the Tarzan novels are fictional. Therefore, some of the dialects he was said to have learned did not actually exist in real life. Of course Tarzan's first language had to be the language of the apes that adopted him, the ape language Mangani. His second language was French. He learned this via a French officer by the name of Lt. Paul D’Arnot. Tarzan rescued the French lieutenant from a tribe of cannibals. It was also from D'Arnot that he learned English. When he met Jane Potter, they first communicated through gestures. Arabic was learned from his encounters with Kadour ben Saden. Tarzan also spoke the tongues of the Waziris and the Oparians. The ape-man learned dialects of both the African east and west coasts. His encounters with Germans gave him the opportunity to learn the German language. Tarzan communicated with the Ant Men or the Minunians. He picked up the sign language of the Alalus and spoke the dialect of the Bagalla tribe. Not surprising at all, Tarzan knew Latin from his exposure to Caesar's legionnaires but only very little of the ancient language. He knew the Bagego dialect, the language of the Gilaks and many more. Tarzan also learned the languages of other animals like that of Tantor, the elephant and Numa, the lion. Based on the series, Tarzan spoke French, English, Arabic (including the dialects Gallas, Shiftas, and Kafichos), German, Latin, Dutch, Portuguese and ancient Mayan. The native dialects he spoke or at least understood were Waziri, the West Coast mongrel tongue, Swahili, Pal-ul-don (a pithecanthropus language), Alalus sign language, Minunian dialect, Bagalla dialect, Bagego dialect, Gilak dialect (from those who live in Pellucidar, a place located beneath the surface of the earth according to Burroughs), Athne language, and the dialects Bansuto, Utenga, Bukena, Buiroo, Zuli, Kaji, Bantango, Bantu and Babago. Tarzan also understood African drum language. It is quite possible that the ape-man new more languages and dialects because of his extraordinary gift of learning tongues. Tarzan was a well-traveled adventurer who met people of different tribes and races. Some languages and dialects he had mastery over while others he learned only enough of them in order to get his message clearly across. Those who grew up reading or watching Tarzan may only remember him as the man swinging from tree to tree yelling "Ah-ah-AHHHH...ah-AHH...ahahahahahhhhh!!!!!!" But there's more to his character and background. He was an American superhero who came before the likes of Superman, Batman, and Captain America. He fearlessly interacted with wild animals, helped humans and animals in distress, and did what he could to protect his environment. Before it became fashionable to care for the environment, Tarzan was already championing Mother Nature's cause. Tarzan celebrates his centennial this year. Get to know the real Tarzan by reading Burroughs' novels about the loincloth wearing man of the jungle. Join the world in celebrating an iconic character, a champion of men, beasts and the environment. Tarzan's linguistic skills would surely come in handy in the world today.